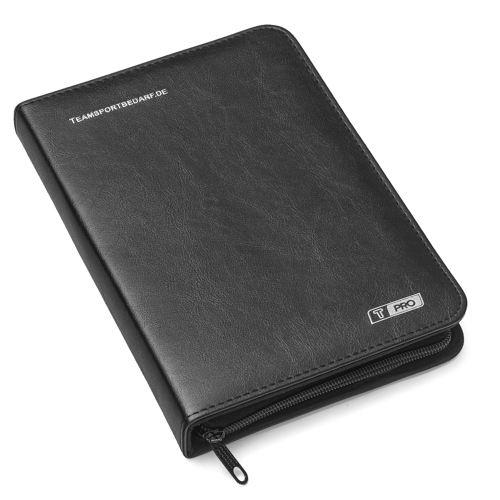 You will receive a high-quality, magnetic T-PRO mini leather coach folder for the football coach. 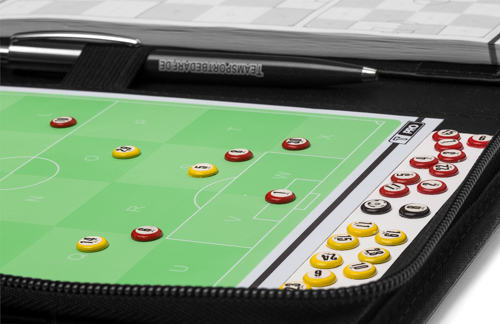 The T-PRO Coach Folder includes a magnetic soccer field for extensive tactical displays. The field is divided into 24 tactical zones (A-X). This division gives the players a better sense of position and the coach can coach with short zone information, even during the game. The included accessories include 32 flat (ø 8 mm) magnets in yellow, red and black, a wipe-off board marker, a metal ballpoint pen and a T-PRO 80-sheet notepad. 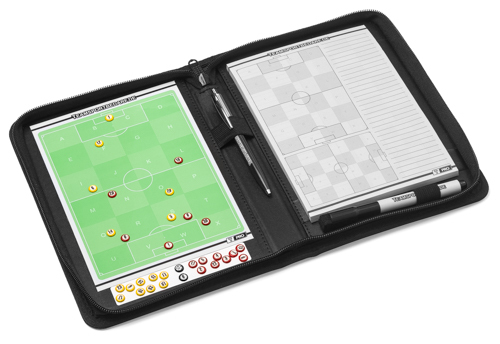 This T-PRO trainer folder is the ideal accessory as well as the perfect gift for ambitious football coaches. When folded, it has the dimensions 23 x 20 cm and fits into every trainer bag. For the ideal care and use of tactics folders, we recommend cleaning your whiteboard surfaces 2x a month with the whiteboard cleaner spray in combination with the whiteboard cleaning cloth. 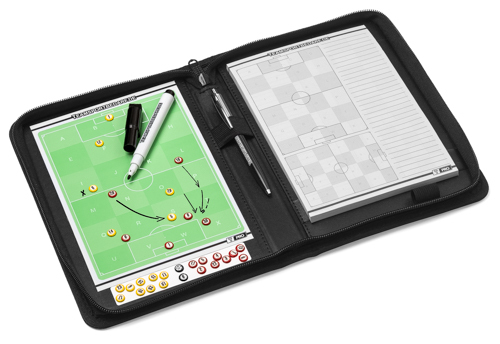 You can also purchase the corresponding accessories as well as other tactics folders in our shop. Even professional trainers work with our products!